Now this is a tantrum! Watch a very angry man smash his Mercedes Benz with a golf club. 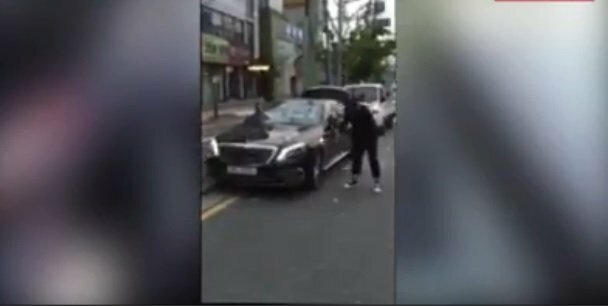 A man in Korea has been captured on film taking a golf club to his Mercedes Benz in the middle of a busy street. It is reported the car was faulty and kept breaking down. The dealership apparently refused to help. The man, who has a pregnant wife, said the car was unsafe for his family. So, he decided to smash it up! What is the biggest tantrum you've ever thrown?